Come to Premier CDJR of New Orleans to discover the new 2019 Dodge Charger for sale in New Orleans, LA. If you are searching for a new Dodge sedan that offers legendary performance with multiple trim options to enjoy, make the short drive from Metairie and Kenner to our car dealer. If you would like to let us know you're coming, you can book your Charger test drive in advance. When you climb behind the wheel of the 2019 Charger, you'll experience an available Five-Link Rear Suspension, Available Full-Speed Forward Collision Warning with Active Braking, and Available Advanced All-Wheel Drive. If you want a car that can withstand punishing days at the track and your daily commute, you want the 2019 Dodge Charger SRT®. This new muscle car boasts 485 horsepower and 475 pound-feet of torque. If need to lay down more rubber off the line, take a look at the 2019 Hellcat. With its Supercharged, 6.2L HEMI® SRT Hellcat V8 engine, this cat is no kitten. Hellcat owners will be in command of 707 horsepower and 650 pound-feet of torque. The 2019 Charger SXT comes with the ParkView® Rear Back-Up Camera, ParkSense® Rear Park Assist System, SiriusXM® Satellite Radio, and Available LED Fog Lamps. From there, we move into the Charger GT AWD with its 300 horsepower, 3.6-Liter Pentastar® V6 Engine. Key features are an Advanced All-Wheel Drive with Front Axle Disconnect, the Uconnect® 8.4-Inch Touchscreen with Apple CarPlay® Support and Android Auto™. Luxury refinements in this Dodge are the Leather-Wrapped Performance Steering Wheel with Paddle Shifters, Unique All-Wheel Suspension Tuning, Three-Piece Body-Color Spoiler, and 19-Inch Granite Crystal Painted Aluminum Wheels. The 2019 Charger R/T increases the power with a 370 horsepower, 5.7-Liter HEMI® V8 Engine. Standard features worth noting are its Electronically Controlled Active Exhaust, Uconnect® 4C with an 8.4-Inch Touchscreen, SiriusXM Guardian™, Integrated Uconnect Voice Command, Bluetooth® Streaming Audio and SiriusXM® Satellite Radio with One Year of Service Included. To climb into a 2019 Dodge Charger near Metairie and Kenner, visit our New Orleans, LA, auto dealership. Our team is eager to highlight the available safety systems and warranty options available on the 2019 Dodge Charger. Discover your Charger financing options today! If you are in the market for a new car that delivers power to the rear wheels in the New Orleans, LA area, take home the 2019 Dodge Charger from Premier CDJR of New Orleans. Remember our dealership when it comes time to schedule your service. 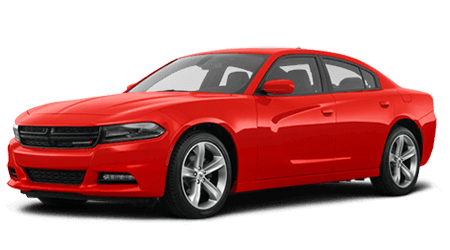 Visit us today for a competitive price on a 2019 Dodge Charger!